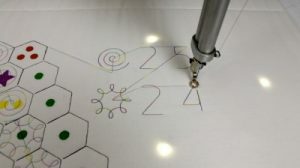 In work done collaboratively with Disney Research Pittsburgh and led by Gillian Smith of Northeastern we explored a multi-player game that can be embedded into a quilting and/or embroidery machine interface. 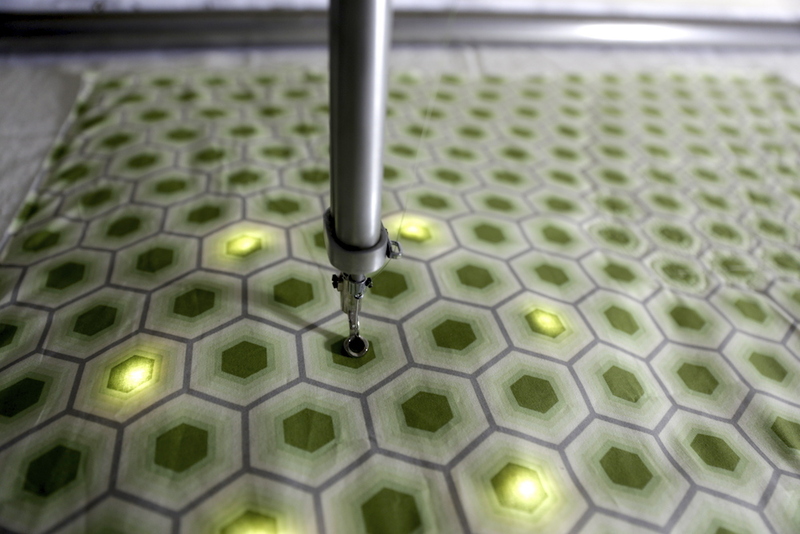 Gameplay is constrained by the fact that only a single thread of fabric can be drawn over time. Players compete to ‘scout’ over a map (a hex grid), where different hexes have different costs to explore. Threadsteading was accepted to Alt.CTRL.GDC. G. Smith, A. Grow, C. Liu, L. Albaugh, J. Mankoff and J. McCann. 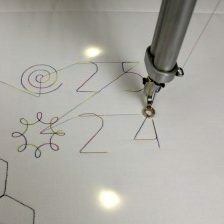 Threadsteading: A single-line, two-player, territory-control game for quilting and embroidery machines. alt.ctrl.GDC 2016.